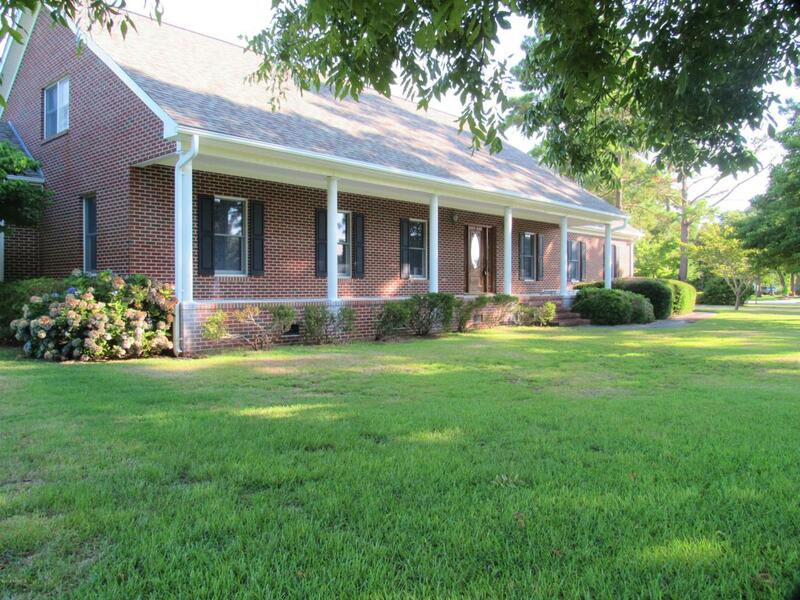 Beautifully settled on a large corner lot, this brick home in Country Club Point is in ''ready to move in'' condition. There are two fully loaded pear trees, a pecan tree or two and lots of shade trees.The quality put into the building of this house is obvious. Freshly painted interior, exterior where needed, and recent updates are finished. Large, open and airy floor plan will make for an easy coastal lifestyle. Tons of space and storage. Plus, a boat shed and your own PRIVATE BOAT RAMP to a canal with a few minute ride to the Intracoastal Waterway. Load up family and friends and go enjoy a sandbar or island in Bogue Sound. Or in a short trip, be in the Atlantic Ocean. There are 3 HVAC units, 2 of which are less than 6 years old. Brand new roof on both house and boat shed. Locatein the very highly rated Carteret County school system and a short drive to the beautiful beaches of the Crystal Coast. Listing provided courtesy of Kathy Perry of Emerald Isle Realty, Inc..